Yeah I'm not happy about this new lore we can't experience unless we play on mobile. That's the big thing that bothers me really. 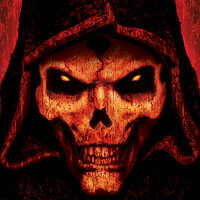 Do we really want a new PC Diablo anymore? I like your ideas and hope they can come about in a game. Hopefully Blizz is reading these forums and trying to get ideas about what we want. Maybe us sharing our ideas with them is at least a start? No D4 Because They Don't Know What To Do. did Nevalistis got fired ? I hope she's doing great and isn't fired. I'd definitely love to see her or another CM post here a little more often if possible. Lord Fluffy - review "Guy in Blizzard Boo video"
Seems like a nice level headed guy. Watched most of his video and look forward to what he has to say about the mobile game. Wait what? In addition to claiming the gift it isn't yours unless you also download it? Is this true? Cause that is pretty stupid if so. If you give someone a gift let them keep it with no stipulations. If mobile is the future of gaming, then I'm no longer a gamer.